Whether it’s found on a plate of sushi, grilled in our backyard, or thrown on pasta, seafood is a staple for many diets around the world, and demand is growing. And as the commercial seafood industry booms, fish stocks worldwide face perilous declines. We’ve surpassed our capacity to sustainably fish wild caught fish, shrimp, and mollusks from the ocean, and so we’ve turned to aquaculture, or fish farming, as a strategy to meet demand for our growing appetites for water-borne critters. The aquaculture industry is growing fast. According to the FAO, per capita production of seafood from aquaculture has increased 6.9 percent annually since 1970. 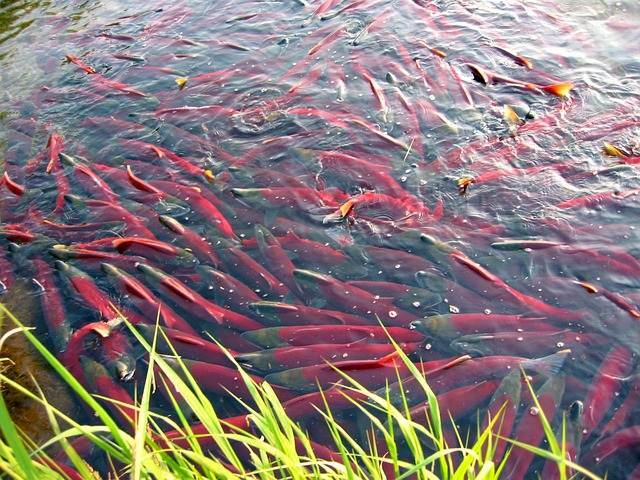 Unfortunately for us and for our Earth, current methods of fish farming often involve crowded, tethered pens, which can have poor water circulation and contribute to the spread of disease, and put large amounts of environmental stress on the surrounding waterways. This is where Steve Page of Ocean Farm Technologies comes in. Taking inspiration from naturally-occurring schools of fish and Buckminster Fuller’s geodesic domes, Page co-designed the Aquapod, a free floating, untethered deep ocean fish habitat which reduces overcrowding, and creates less stress on surrounding environments due to its unique ability to change location with the ocean's current. 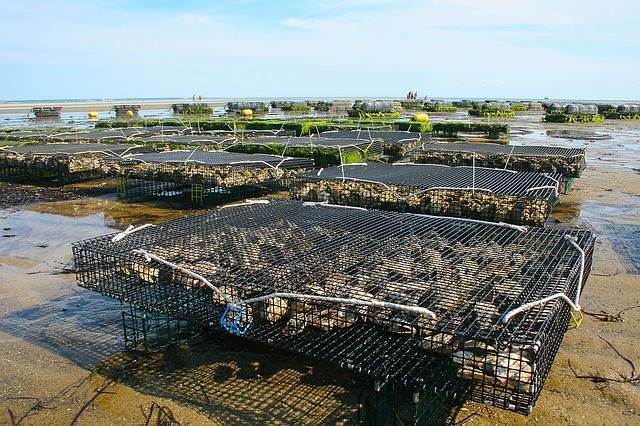 One of the concerns with inshore aquaculture is that discarded nutrients and feces can settle below the farm on the seafloor and damage the benthic ecosystem. According to its proponents, the wastes from aquaculture that has been moved offshore tend to be swept away from the site and diluted. Moving aquaculture offshore also provides more space where aquaculture production can expand to meet the increasing demands for fish. It avoids many of the conflicts that occur with other marine resource users in the more crowded inshore waters, though there can still be user conflicts offshore. Critics are concerned about issues such as the ongoing consequences of using antibiotics and other drugs and the possibilities of cultured fish escaping and spreading disease among wild fish. Aquaculture is the most rapidly expanding food industry in the world as a result of declining wild fisheries stocks and profitable business. In 2008, aquaculture provided 45.7% of the fish produced globally for human consumption; increasing at a mean rate of 6.6% a year since 1970. In 1970, a National Oceanic and Atmospheric Administration (NOAA) grant brought together a group of oceanographers, engineers and marine biologists to explore whether offshore aquaculture, which was then considered a futuristic activity, was feasible. In the United States, the future of offshore aquaculture technology within federal waters has become much talked-about. As many commercial operations show, it is now technically possible to culture finfish, shellfish, and seaweeds using offshore aquaculture technology. 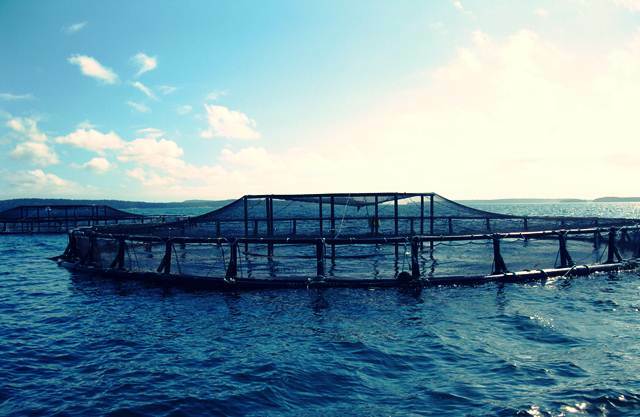 Major challenges for the offshore aquaculture industry involve designing and deploying cages that can withstand storms, dealing with the logistics of working many kilometers from land, and finding species that are sufficiently profitable to cover the costs of rearing fish in exposed offshore areas. To withstand the high energy offshore environment, farms must be built to be more robust than those inshore. However, the design of the offshore technology is developing rapidly, aimed at reducing cost and maintenance. 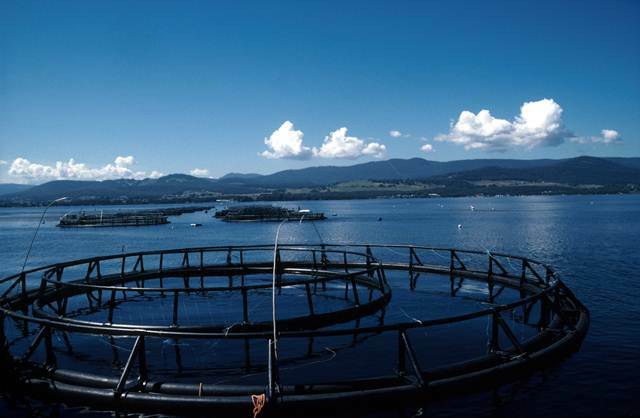 While the ranching systems currently used for tuna use open net cages at the surface of the sea (as is done also in salmon farming), the offshore technology usually uses submersible cages. 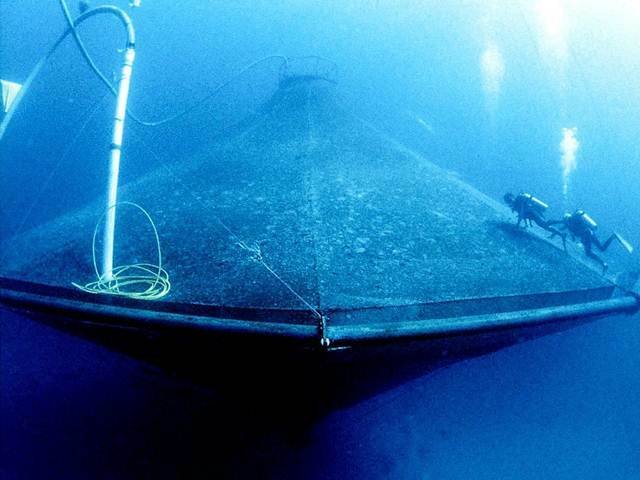 These large rigid cages – each one able to hold many thousands of fish – are anchored on the sea floor, but can move up and down the water column.They are attached to buoys on the surface which frequently contain a mechanism for feeding and storage for equipment. Similar technology is being used in waters near the Bahamas, China, the Philippines, Portugal, Puerto Rico, and Spain. By submerging cages or shellfish culture systems, wave effects are minimized and interference with boating and shipping is reduced. Offshore farms can be made more efficient and safer if remote control is used, and technologies such as an 18-tonne buoy that feeds and monitors fish automatically over long periods are being developed. 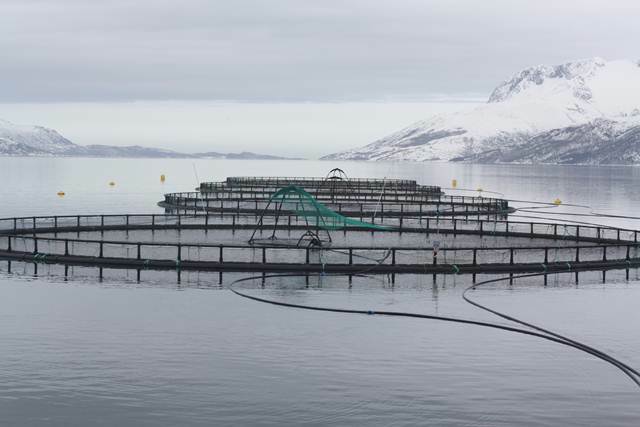 Multi-functional use of offshore waters can lead to more sustainable aquaculture "in areas that can be simultaneously used for other activities such as energy production".Operations for finfish and shellfish are being developed. For example, the Hubb-Sea World Research Institutes’ project to convert a retired oil platform 10 nm off the southern California coast to an experimental offshore aquaculture facility. The institute plans to grow mussels and red abalone on the actual platform, as well as white seabass, striped bass, bluefin tuna, California halibut and California yellowtail in floating cages. Roaming cages have been envisioned as the "next generation technology" for offshore aquaculture.These are large mobile cages powered by thrusters and able to take advantage of ocean currents. One idea is that juvenile tuna, starting out in mobile cages in Mexico, could reach Japan after a few months, matured and ready for the market. However, implementing such ideas will have regulatory and legal implications.